Costs – Vallejo, California tree owners can find need-to-know info on tree removal, maintenance and stump removal cost information here to avoid paying more than they should. FAQs – While Vallejo is a thriving, sunny and warm city for many trees, tree owners should be aware of diseases, city regulations and certain trees to avoid planting. Find this info and more. Services – Hire an arborist today! How Much Do Tree Services Cost in Vallejo? Getting rid of a pesky tree is a common problem for those living in Vallejo, California. Trees that develop a large and intricate root system can interfere with their plumbing or septic system, power lines and other utility lines. Most Vallejo residents report spending between $740 and $1,035 on a simple tree removal. The lower figure often represents smaller trees and shrubs while the larger figure includes trees that block power and utility lines. Some homeowners find that they need to get rid of an old stump cluttering up their yard. Removing the stump typically involves grinding down the stump with a specialized tool. The worker will keep grinding the stump until it sits even with the surrounding ground. Grinding a stump costs an average of $80 to $150 for a medium-sized stump, but the price can increase for a larger stump. The average cost depends on the circumference of the stump, where it sits in the yard and the type of tree. Homeowners in Vallejo report spending an average of $630 per visit on maintaining trees in their yards. The exact cost often depends on the number of trees in the yard, whether those trees interfere with utility lines and the size of the trees. Most Vallejo residents pay a landscaping crew an hourly rate to take care of the trees in their yards. Landscaping crews can cut down limbs, prune shrubs and apply chemicals when needed to treat infestations from bugs and insects. Maintaining a beautifully landscaped yard in Vallejo, California, can be rewarding and fun. Here are some tips for successful maintenance as well as interesting facts about tree growth in the area. 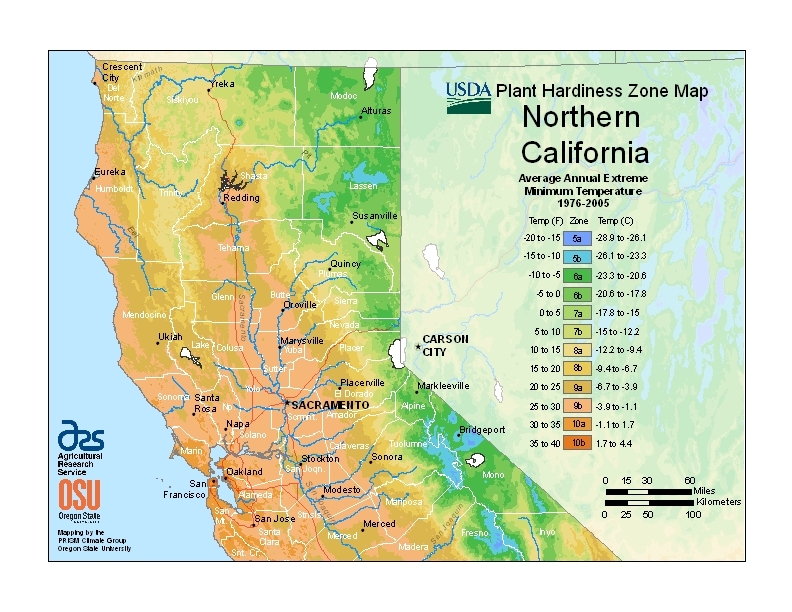 The USDA Plant Hardiness Zone Map identifies the various regions across the United States. As part of Zone 9b, Vallejo is home to a number of fast-growing trees. The bald cypress tree (Taxodium distichum) and Chinese tallow tree (Sapium sebiferum) thrive in Vallejo, as do the cottonwoods (Populus deltoides) and dawn redwood (Metasequoia glyptostroboides) trees. Redwoods and sequoias of various types can also grow in Vallejo. 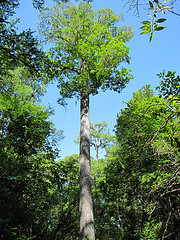 The eastern redbud is one of the smaller or shortest trees found in the area, while the redwood and sequoia are among the tallest. The state tree of California is the redwood, which is also known by the scientific name Sequoia sempervirens. Redwood trees can live for more than 2,000 years and reach heights of more than 300 feet. Native to California, the redwood has remained the state tree since first designated in 1937. The state also protects the giant sequoia tree, or Sequoia gigantea. Vallejo has a sub-topical climate; most of the trees found around the city grow quickly and require ample natural light and little water. Trees that require more water typically do not do well in this part of California. Many homeowners enjoy adding fruit trees to their yards, and thanks to the warm climate, fruit trees thrive in Vallejo. Pomme fruits do best in areas where the temperature drops to 45 degrees Fahrenheit or less for several hours every day, and most Vallejo residents find that the low temperatures at night are sufficient to grow these trees. Members of the pomme fruit family that do well in the area include apple, pear, loquat and quince trees. Stone fruit trees, trees that grow fruits with a large center pit, can also be grown. Some of the best stone fruit trees for Vallejo include apricot and sweet cherry trees. Other popular fruit trees include avocado, passion fruit and fig trees. Even trees that thrive in Vallejo can suffer from some common problems. Common diseases affecting California trees include phytophthora root rot, dothiorella blight, sooty mold and bacterial blast. Prolonged exposure to the sun, a lack of nutrients in the surrounding soil and frost can lead to additional problems with local trees. The warm temperatures found in Vallejo helps many types of trees thrive, but those temperatures can also cause other types of trees to die. Sour cherries require more cooler weather than the city can provide. At the same time, tropical fruit trees like the papaya tree do not thrive in Vallejo because those trees require consistently warmer temperatures. Vallejo has its own city Tree Ordinance, which states that homeowners are responsible for maintaining any trees on their property. Those needing to trim their trees must apply for a tree trimming permit from the city before beginning work, and the city requires a tree removal permit before a property owner removes any trees or stumps. The Tree, Shrub, and Other Woody Plant Management – Standard Practices brochure, which is available from the city, helps homeowners learn the steps associated with trimming and pruning trees. Trees growing near power lines are a potential danger. Those branches can drop the lines to dangerously low levels and even cause the power lines to break. Homeowners must complete the same application for a permit and file that permit with the city. The city will then send its own truck to the site to trim the tree branches back or remove the trees from the property. The cooler winter months, including December and January, are a better time to trim or remove trees. Depending on the severity of the issue, the city can send out a crew to take care of the problem any time of the year or give the homeowner the right to hire a tree removal company.